The impact that homestead gardening can have for food security in communities is significant. These garden’s have a slightly different focus and utilise permaculture guild theory. 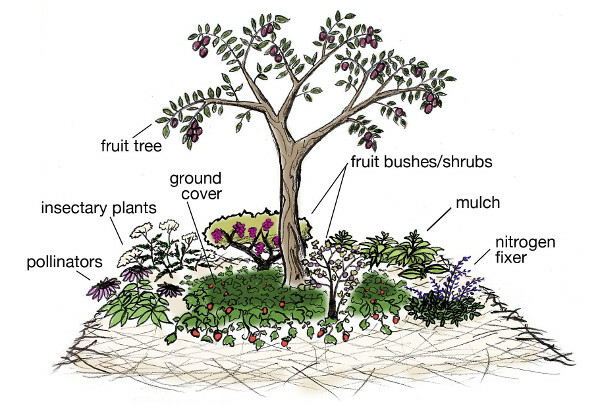 They usually include fruit and/or nut trees, medicinal plants and herbs as base and then grow vegetables and legumes. The idea is to supplement household nutrition with a diversity of plants over as much of the year as possible. This initiative follows a similar design to our Trees for Homes programme, in that we train community educators who aid the households in establishing and maintaining their gardens for a period. Whilst homestead gardening can be a short term intervention, we have found that a longer term intervention focusing on a few households will yield better impact. A merit-based series of assessments and follow ups, where households that excel receive rewards, is more likely to encourage an ethos of home gardening in a community. This initiative can can include optional volunteer days for donor employees. The selection of an area for this intervention is fundamental to its success, and for this reason, FTFA will only plant in pre-assessed communities or request a community baseline assessment before proceeding with implementation. Whilst every household will get a chance to develop or improve a home garden, donors need to understand that not all households will continue to grow with equal vigor. For this reason FTFA staggers the intervention to ensure that the households who show the best results will continue to be supported.